Rapid Granulator, founded 1942 with headquarter in Bredaryd, Sweden, exports around 97 percent of its production. Supporting its sales operations and global customer base the company has six subsidiaries located in: Leetsdale (PA), USA; Shanghai, China; Singapore; Venice, Italy; Lyon, France and Kleinostheim, Germany. Further support is provided by a global network of over 90 agents and local partners. Rapid is part of LIFCO AB, a group of more than 138 companies in 29 counties. More about Lifco at www.lifco.se. At Plast 2018, leading size reduction equipment manufacturer Rapid Granulator is introducing a new range of granulators designed specifically for in-line processing of skeletal waste from sheet and film thermoforming lines. The new patent-pending ThermoPRO Series – based on an already patented Rapid design – is available in various standard and low-built formats for handling scrap widths from 600 to 1,500 mm (24-60 in.). 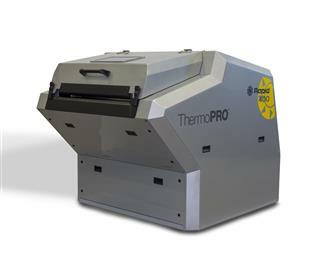 A ThermoPRO 400-90 for granulating webs up to 900 mm in width (35 in.) will be on display at the company’s booth, B102, Pav. 15, during Plast 2018, 29 May – 1 June in Milan. Bredaryd, Sweden – April 11, 2017 – Size reduction equipment specialist Rapid Granulator is making one of its biggest investments in decades to bring US production back under its full control. The company says this is a major move in its most important market. 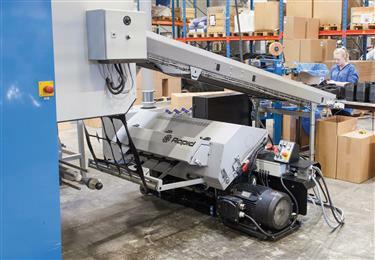 Bredaryd, Sweden – September 6, 2016 – Size-reduction technology specialist Rapid Granulator is introducing a new family of shredders for plastics: The Raptor Series. These modularly designed units feature a world-first with their “open-hearted” design. Other notable design features include a unique cutting system, tilt-back hopper, and design for integrated granulation. The Raptor Series has been designed using the more than 70 years of accumulated knowledge in size reduction, in order to maximize productivity with a minimum cost of ownership. During K 2016, the Raptor Series is on display at the Rapid Granulator booth (Hall 9 – stand E19). 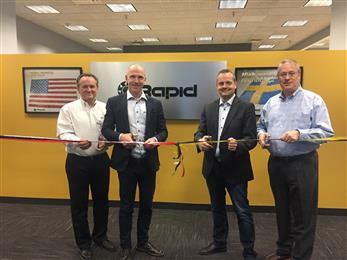 Bredaryd, Sweden – November 9, 2015 – Size reduction equipment specialist Rapid has added a major extension to test facilities at its headquarters in Bredaryd, Sweden. 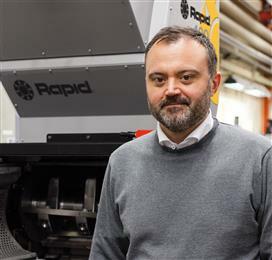 The expansion is the result of an important strategic investment made by Rapid’s new owner LIFCO very soon after it acquired the company at the beginning of this year. Bredaryd, Sweden - October 13, 2015 - Size reduction equipment specialist Rapid has launched the LBB 300 series, a granulator with a very low height for handling sheet and film scrap. The new unit (LBB stands for Low Built Base) is intended principally for use in-line with a thermoforming unit, where its very low height allows it to be located directly under the output conveyor, saving valuable floor space. Bredaryd, Sweden - February 25, 2015 - Following the acquisition of Rapid Granulator by Lifco, customers will now - for the first time - be able to directly access a unique portfolio of granulators and shredders, as the company joins forces with sister company Eldan, which is also owned by Lifco. Bredaryd, Sweden – May 2, 2011 – Rapid Granulator AB today confirmed that Kirk Winstead has assumed the role of CEO for the Rapid Group. Officially appointed on April 12th, 2011, Winstead brings his 24 years of experience with Rapid Granulator Inc. and extensive industry expertise to the position. In the previous nine years he was President of Rapid Granulator Inc., based in Cranberry Township, Pennsylvania, USA. 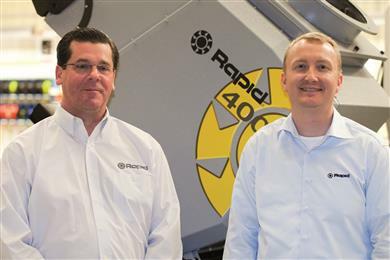 Winstead will oversee Rapid’s global operations and growth, building on its market-leading position and superior machine technology. Bredaryd, Sweden – July 5, 2010 – Rapid Granulator AB today announced that it has successfully completed the restructuring process which the company began in October 2009. This restructuring process which only affected Rapid’s Swedish operation provided for protection against old debts under Swedish law while allowing it to continue normal business operations. Bredaryd, Sweden – April 7, 2010 - Rapid Granulator AB is proceeding as planned with its restructuring to ensure a strong and prosperous future for the Rapid Group and its customers around the world. 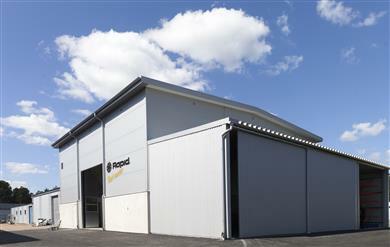 Rapid announced today the winding up of its Moditec subsidiary based in Lyon, France. This is the latest move in a series of cost reduction steps and organizational changes that have already been implemented by Rapid. Bredaryd – 02 November 2009 - Rapid Granulator AB has been granted a suspension of old debts by the District Court of Jönköping Sweden. This has no affect on daughter companies or other partners but is only affecting the Swedish company. The court has granted permission for a so-called reconstruction procedure which – under Swedish law - allows the company to continue its business. This means the company will continue to carry out their business as usual, including the fulfilment of all service contracts, product guarantees and obligations.